Providing pest free health care facilities! Pests in health care facilities and hospitals can be very dangerous. These are some of the facilities that require the highest hygienic standards considering that patients rely on everything being offered to them and even the surroundings to get better. This can be hard to achieve when there are pests around posing cross contamination risks in the facilities. Patients are at risk when pests are around and so are the documents, hospital supplies and structures as well. Hospital equipment is expensive and unfortunately they are not spared by the pests. Health care facilities and hospitals need to find the best commercial pest control services. The professional services are excellent because they give attention to the sensitivity of these facilities and therefore use the best products and techniques to offer lasting solutions to the pest menaces. The professional services are comprehensive and deal with the current issue and also seal out all loopholes that could lead to re-infestations. Toro Pest Management is one of the best commercial pest control companies you can hire for your hospital or health care facility. Toro does not choose when it comes to the areas it can handle in getting rid of the pests. Whether you need their services for specialist clinics, dentistry, nursing homes, doctor’s offices, medical centers or for a hospital, you can be sure to be accommodated and offered the best services to get the worries off your shoulders. It has professionally trained exterminators who will do their work diligently and effectively ensuring that nothing is left to chance. You don’t even have to worry about your hospital equipment during the process because they know just how to take care of what matters to the business most. Toro Pest Management uses the best commercial pest control products. It uses green organic products with low impact to ensure your hospital surroundings and everyone around it is safe and secured from any kind of contamination or health risks. These are safe enough to use in the sensitive locations, but strong enough to get rid of the pests you have. We have many years of experience in pest control and has created a very good reputation in the market. You can be sure that your project won’t be an experimental one but one that has results guaranteed. To show commitment, we will ensure you repeat the control and pest treatment process free of charge in case the pests come back after the first treatment. 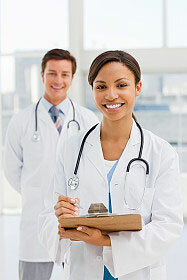 TORO Pest Management has been working with healthcare providers for over 40 years. We understand that most of these facilities work around the clock, we will provide professional service that is least disruptive for you and your patients. Toro technicians use the best methods of controlling pests in the hospital settings. They include rodent bait stations, insect monitors and external perimeter treatment around the hospital building as a measure to keep the pests from finding their way back in. We start by doing property inspections and pest identification before getting you the best treatment solution that won’t disappoint. You can rely on Toro to create a clean and pest-free sanitary hospital or health care facility.